Me and my moon face are fully on board with this one so I wanted to show you my current everyday look. It's pretty low-key and neutral yet super flattering. I've been reaching for loads of Rodial products lately as they've recently launched a sculpting and contouring makeup range and the products are really good. Before Christmas I went to the opening of the Rodial Sculpting Bar in Harvey Nichols (read more here), and received a little makeover that I've been practising ever since. 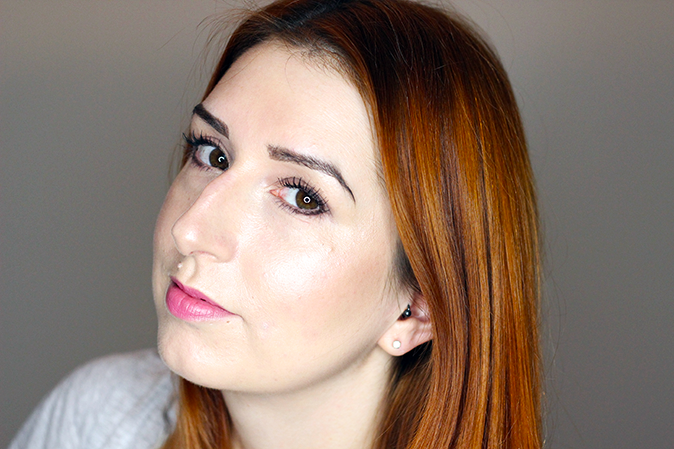 Contouring, while I'm still getting to grips with it, is firmly in my routine now and here's how I do it. To create a low-key, everyday look I start with a simple wash of eyeshadow, such as Frisk from Urban Decay Naked2 Basics (£22), followed by Rodial Eye Sculpt (£34) pushed into the crease to add depth and contour the eye. I always apply a darker colour in the crease now, there's something about it that just finishes the look. 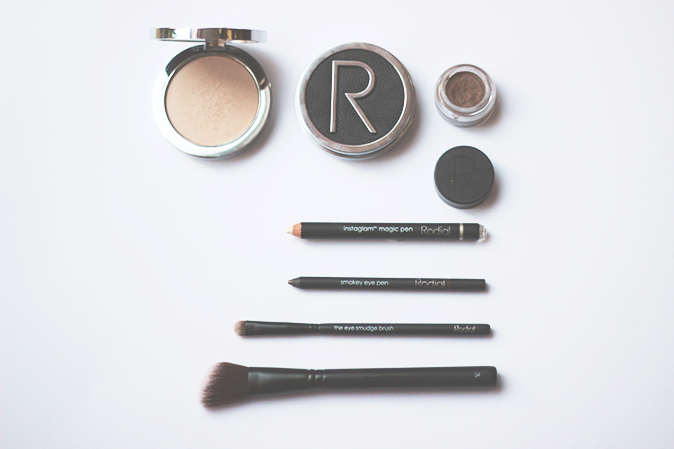 The Eye Sculpt has a soft, moussey texture that blends nicely and pairs as a natural eyebrow filler too. This is one of my favourite products from the range so far and word is they are looking at expanding the colour range so you heard it here first! To tie it all together (along with lashings of mascara o'course), I scribble the Rodial Smokey Eye Pen in Brown* (£17) into my lower lashes and blend it in with the Rodial Eye Smudge Brush* (£24), which is super soft and gentle. The Smokey Eye Pen is super creamy and buttery and you get a little bit of play time with it before it sets. I generally finish my eyes by putting a smidge of the Rodial Instaglam Magic Pen Eye Glow (£22) in the inner corner as it brightens everything up and makes you look far more awake than you really are. Now onto the real magic! I've always really struggled with placement for contour and was quite guilty of bringing it too far into the centre of my face. Now I know better I've found it looks a million times more flattering and not like I have a dirty face.... The Rodial Instaglam Compact Deluxe Contouring Powder (£52) is a bit of a mouthful, but it's well worth picking up, especially if you're pale or a bit heavy handed. As a contour newbie this is perfect for me as it's not too warm in colour or too ashy and it blends so beautifully. You can keep adding until you get the cheekbones you should have been born with. In fact, I really doubt you could mess this one up. I use the Rodial Sculpting Brush (£40) with this and it basically does it for you as it's slanted and snuggles right into the hollows of the cheeks. Also, I adore the packaging that the Rodial compacts come in, they are just so beautiful with the big silver R and the leather texture. To add a bit of colour I apply NARS Douceur to the cheeks as it helps enhance and sculpt without being too much. Now this has been discontinued (RIP) so you could use the Tarte Amazonian Clay 12-hr Blush in Exposed (£23.50) instead. I like these dusky colours as they don't jump out too much. Lastly I swipe a bit of the gorgeous Rodial Instaglam Compact Deluxe Illuminating Powder* (£52) onto the top of my cheekbones, bridge of my nose and under my brows to highlight. I absolutely love this, it's a very finely milled champagne powder that's super flattering. This is just how I contour, but I hope you find it useful and hopefully you'll discover some new products along the way. The post How to: Simple everyday contouring appeared first on Lelore.